"This is pretty much because he pretty much confirms the whole basis of the Heresy, that the Imperium is a lie and claims to the Rotting Corpse’s divinity are false." 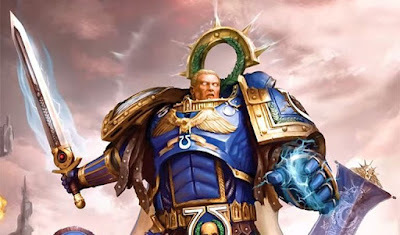 Except that the visions of the future that Erebus showed Horus to push him toward the Heresy were visions of the future that actually resulted from the Heresy. No one really knows how things might have turned out if the Emprah had been able to stick around longer outside the golden throne, and perhaps even more so, how they would have turned out if Magnus hadn't blown up his webway project.